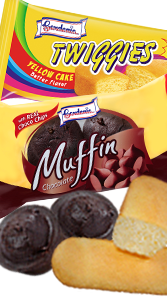 2000: Introduction of the Flavored Loaf and Bun Lines. The first flavored loaves included the California Raisin and Chocolate Chip Loaves. This year also marked the start of Gardenia’s Corporate Social Responsibility programs. 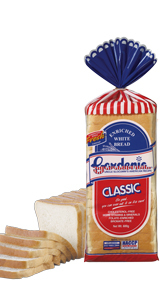 2001: Gardenia launched its version of every Filipino’s favorite, Pan De Sal. 2002: Gardenia opened its doors for a free catwalk tour for guest to experience modern breadmaking. 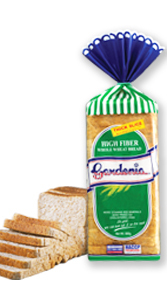 2010: Gardenia once again developed an innovative health product to give a twist to its already existing High Fiber Whole Wheat Bread. 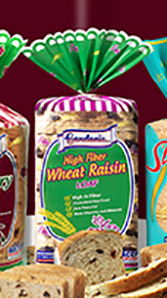 The flavorful, plump, and juicy High Fiber Wheat Raisin Loaf was a combination of high fiber content from whole wheat flour and juicy California raisins. We never scrimp on Quality in everything we do. As a consumer-focused and branded food company, we are dedicated and committed to delivering world class quality bakery products that every Filipino deserves. 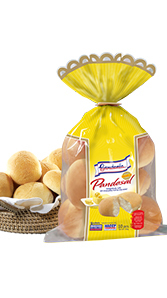 Gardenia Philippines pioneered a unique distribution system, ensuring that only fresh breads reach consumers every day. 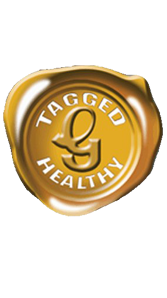 Gardenia strictly follows its international policy of keeping only fresh stocks on the store shelves. As soon as products come out of the factory, delivery vans leave the production plant as early as 4 o’clock in the morning to bring the products to specific locations in the country. 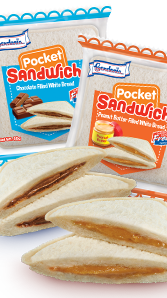 Replacing unsold breads in store shelves with only freshly baked top-quality products during each day of delivery is a Gardenia practice unmatched in the industry. 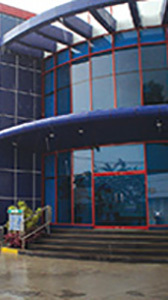 Since the start of its operations, Gardenia’s distribution had grown rapidly. 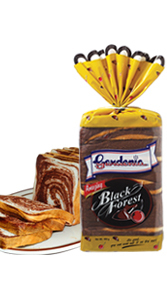 Gardenia is now considered as the most widely distributed loaf brand in Metro Manila. Since Gardenia's establishment in 1998, the brand’s success has been starkly evident with its continuous and rapid sales growth. 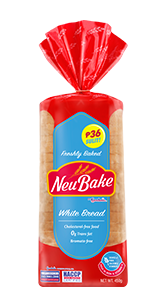 This combination of superior product quality, advanced bread-making technology and extensive system of distribution reflects the consumer-oriented vision of Gardenia Philippines that brings consumers the highest level of product satisfaction. The reason behind Gardenia's success is no secret; it is the people who made Gardenia what it is today and the goal of sustaining Gardenia’s leadership and excellence. Our enthusiasm to serve constitutes the “yeast that raises the dough” and with this, Gardenia will continue to take the lead. To be the premier company in the baking and food industry that provides best quality products enjoyed, valued, and loved by consumers. 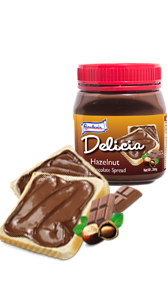 To provide an assortment of best quality, great tasting, nutritious, and enjoyable bakery and food products that are within sight, within reach, and within the hearts of consumers; produced using world class manufacturing facilities and processes utilizing quality and safe ingredients, thereby creating values beneficial to stakeholders, including employees, suppliers, trade partners, financial institutions, investors, and the community. 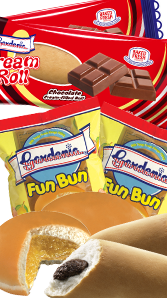 We, at Gardenia Bakeries Philippines, are committed to assure customers and consumers that our products are produced with superior quality ingredients and according to strict safety and hygienic standards that comply with statutory and regulatory requirements. 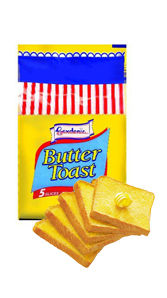 We, at Gardenia Bakeries Philippines, are committed to delight consumers by providing best quality bakery and food products. We aim for excellence through innovation and continuous improvement of our processes, products and services, ensuring compliance with our customers and applicable statutory and regulatory requirements. We are steadfast in our commitment that quality begins with each and every one of us.